Today’s antisemitism is difficult to recognize because it does not come dressed in a Nazi uniform and it does not openly proclaim its hatred or fear of Jews. 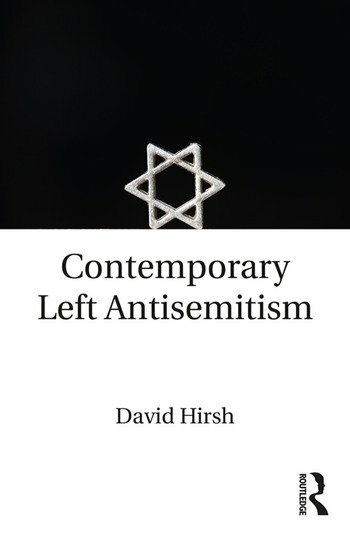 This book looks at the kind of antisemitism which is tolerated or which goes unacknowledged in apparently democratic spaces: trade unions, churches, left-wing and liberal politics, social gatherings of the chattering classes and the seminars and journals of radical intellectuals. It analyses how criticism of Israel can mushroom into antisemitism and it looks at struggles over how antisemitism is defined. It focuses on ways in which those who raise the issue of antisemitism are often accused of doing so in bad faith in an attempt to silence or smear. Hostility to Israel has become a signifier of identity, connected to opposition to imperialism, neo-liberalism and global capitalism; the ‘community of the good’ takes on toxic ways of imagining most living Jewish people. Weaving together theoretical discussion with case study narrative in an engaging and interesting way, this book is a global study which is essential reading for scholars working in sociology, politics, Middle East studies, Israel studies, Jewish studies, philosophy, anthropology, journalism and history, as well as anyone interested in current affairs and politics. David Hirsh is Senior Lecturer in Sociology at Goldsmiths University, London, UK.